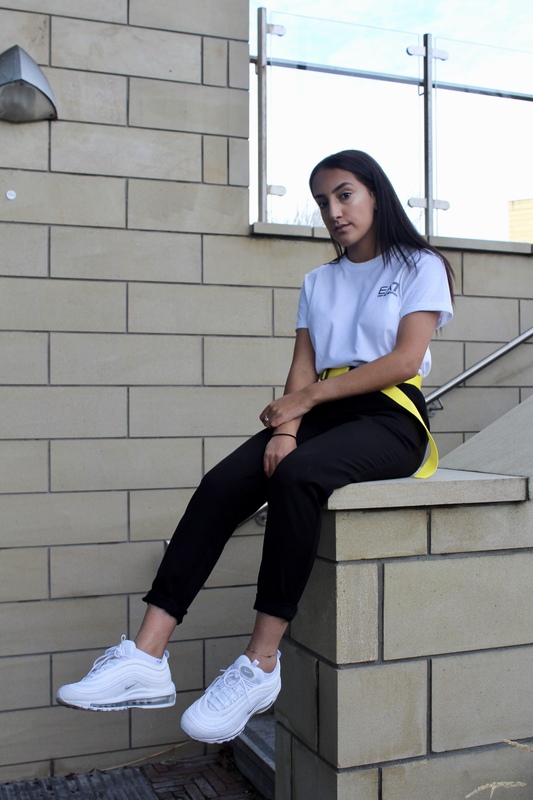 EA7 Core Logo T-Shirt – Footasylum – So to start this outfit off, I picked out my most simple white t-shirt which I’m sure you’ve seen this multiple times. However you cannot go wrong with a crisp white t-shirt for a transitional A/W look. I love the fit of this t-shirt even though it is a men’s one. It gives that perfect look rather than a tight fitted t-shirt. 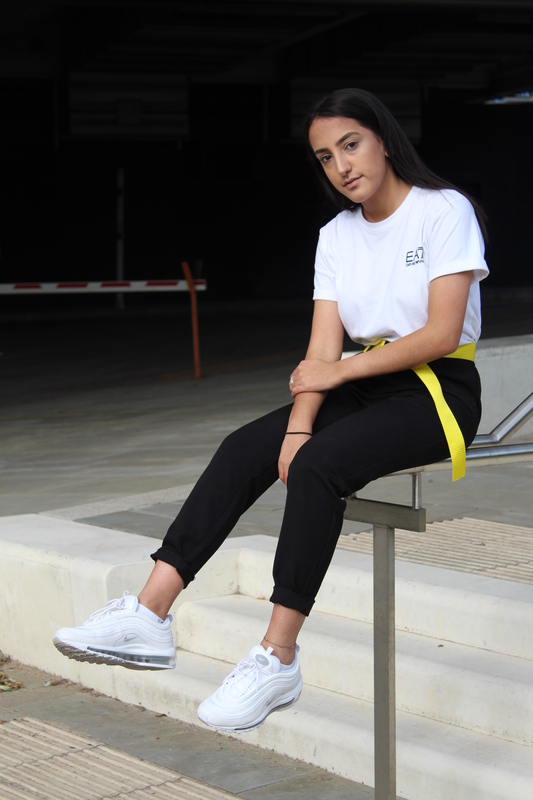 Tailored Trousers – Pieces –These trousers have been my most recent purchase, compared to the trousers I already have these trousers are more tailored compared to my usual style of jogging trousers. They are easier to style than I imagined. I rolled up the bottoms and added a belt which changed up the style of the trousers immediately. I love wearing trousers as they are so comfortable and I love switching up how to style them. 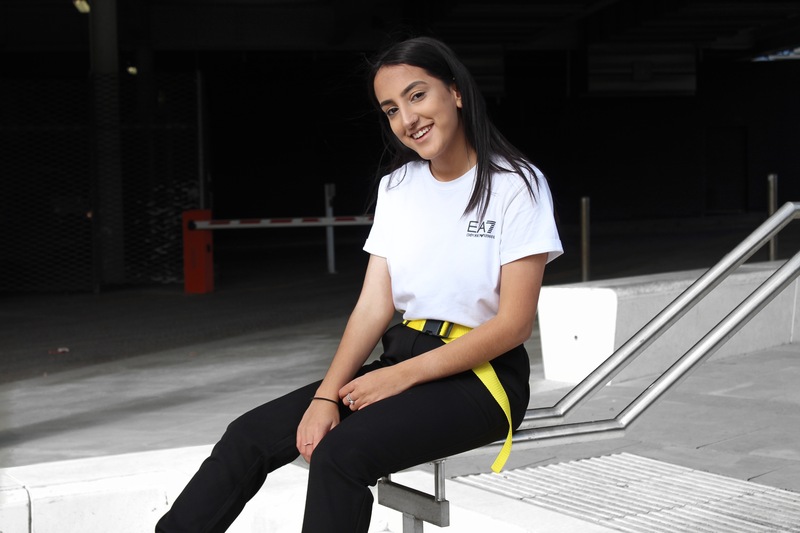 Black buckle belt – e.buckled – As you may have seen in a previous blog post I styled a black buckle belt, however we are switching it up and are being more daring with a bright yellow buckle belt. I love the shade off this belt it is a vibrant yellow and is a great dupe for the popular off white yellow tape belt. 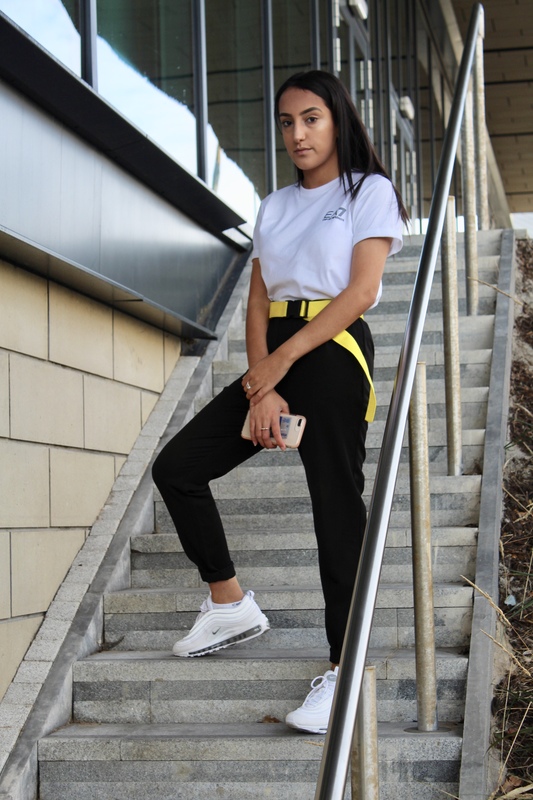 It is so easy to add to an outfit it can either cinch in your waist when you are wearing a dress or you can put it through your trouser/belt loops for a more structured outfit. I love the vibe the belt gives, it just adds that little more of an edgy look to an outfit. Triple White Air Max 97 – Foot Locker. 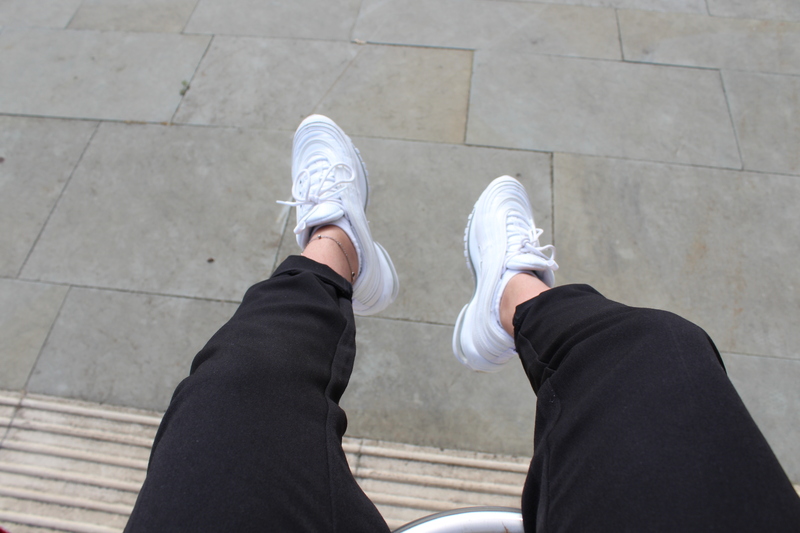 Finally, on my feet are my iconic triple white 97s these are one of my favourite pairs of shoes. They look good with so many outfits even though summer is over I will continue to wear them as I just love them. 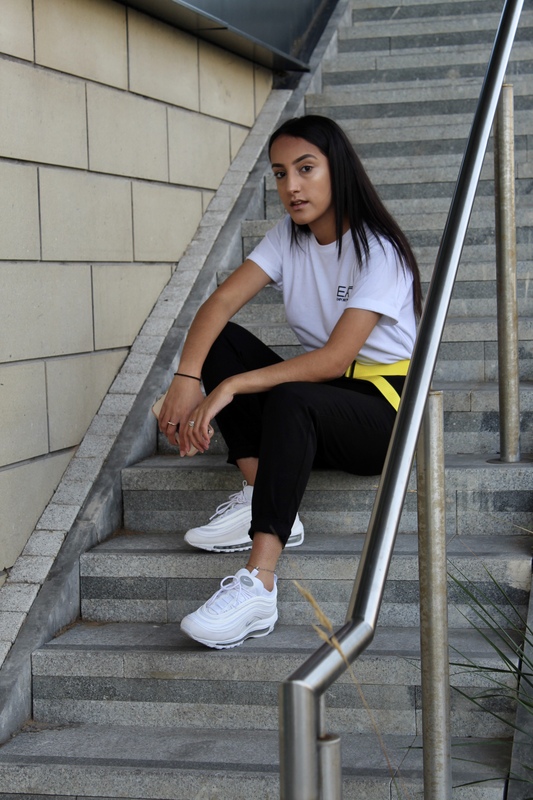 White sneakers are such a vibe, they go with so many different looks and you can wear them no matter what the season. How do you style belts? Comment below. Your buckle belt is cool!